1929 Buena Vista College yearbook contains a record of the year's activities. 1928 Buena Vista College yearbook contains a record of the year's activities. 1927 Buena Vista College yearbook contains a record of the year's activities. 1926 Buena Vista College yearbook contains a record of the year's activities. 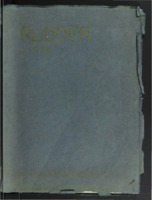 1925 Buena Vista College yearbook contains a record of the year's activities. 1924 Buena Vista College yearbook contains a record of the year's activities. 1923 Buena Vista College yearbook contains a record of the year's activities. 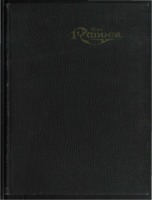 1922 Buena Vista College yearbook contains a record of the year's activities. 1920 Buena Vista College yearbook contains a record of the year's activities. 1919 Buena Vista College yearbook contains a record of the year's activities.